Hope are now offering their range of top and bottom cups available separately, allowing you to pick 'n' mix between the standards to suit your frame / fork combo. 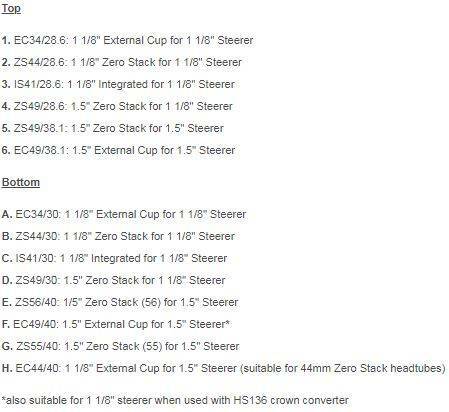 Each cup is CNC machined from 2014 T6 aluminium whilst Hope specify custom INA Swiss manufactured precision cartridge bearing races for durability and performance. Protection from the elements is achieved through an adjustable taper ring covers and integrated rubber seals, whilst the bearings also incorporate their own sealing and being made from stainless steel resist corrosion.